It is a longtime Catalyst Energy practice to incorporate recent technological advancements into our geologic and engineering efforts. These tools help us react quickly and insightfully to new leasing opportunities. The improvements in geological software, for example, have enabled us to develop and review prospects to a degree of efficiency rarely found in the Appalachian Basin. Our IT Department is an important resource for our in-house experts. The department stores relational databases of pertinent information derived from both private and public sources, enabling the prospect geologist to review, map and manipulate data accurately and efficiently for any area in the state. The various geologic maps of interest to our exploration geologist – such as contour maps, isopach maps and production maps – are now generated with computer-assisted design software, providing reliable tools for our exploration efforts. Every well that is drilled, whether by Catalyst or another operator, provides our engineers and geologists with important data that is used to update forecasting and mapping models. A petroleum engineer typically concentrates on maximizing efficiencies related to drilling, production and reservoir engineering. Catalyst Energy’s engineers are well trained in their discipline through their degreed studies in petroleum engineering, field experience and continuing industry education courses. Our engineers keep informed about the latest advances in production and gas processing. Most of Catalyst Energy’s primary gas measurement facilities are equipped with solar-powered gas measurement devices and telemetering capabilities. This technology provides the staff with real time readings that are used to adjust various components within our production system. 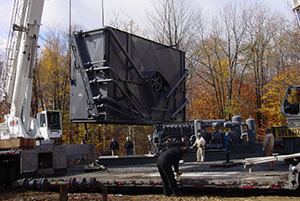 Reservoir engineering work is based upon the most advanced software available for decline curves, material balance reserves (pressure based reserves), and economic analysis of prospects. Our engineers work closely with our geologists, the IT Department and the Production Department in an effort to maximize current production while maintaining prospect quality.